Customer Comfort is Our Top Priority. 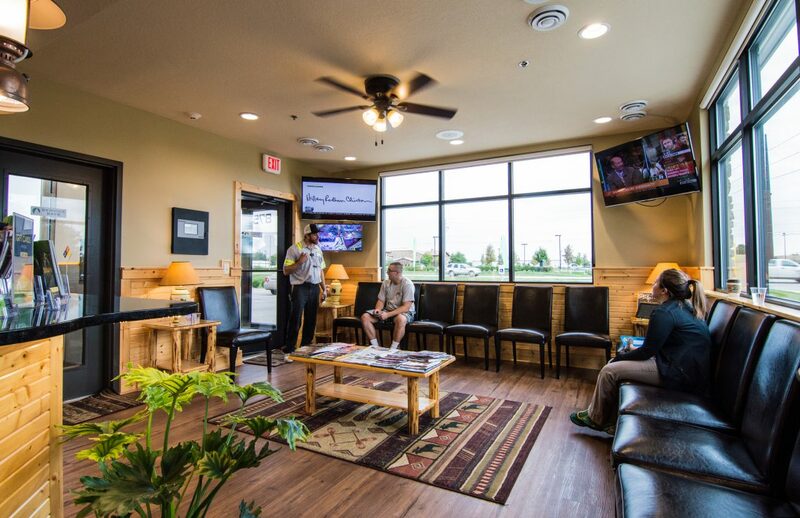 You can choose to either wait in your car as part of our drive-thru experience or take a seat in our cozy Northwoods Lounge. In either place, you can enjoy a FREE cup of freshly brewed Caribou Coffee, hot chocolate or tea while watching your favorite cable channel on one of our many big screen TVs. Or, you’re welcome to keep an eye and ear on the actual servicing of your vehicle via our bay camera/speaker system in real time. Why do we do oil changes this way? Because our top priority at LOF-Xpress™ is to bring integrity back to the car care industry! We hope that in addition to the bay camera/speaker system, along with bringing you physically out to the service bay to see and hear everything we’re doing, we will be able to build your trust in the assurance that we’re giving it to you straight! No over-charging, no over-diagnosing. Just good old fashioned honesty and customer service! For your convenience, we are interfacing all your vehicle’s LOF-Xpress™ Oil Change service records with CARFAX. Once you have set up your free myCARFAX account, you will be able to view not only LOF-Xpress™ Oil Change service records, but any/all other dealership and repair shop service records that also subscribe to CARFAX. In this way, you truly have a more complete and comprehensive way of keeping track of your vehicle’s services in a fully automated, user-friendly fashion. At LOF-Xpress™ we’re on a mission to bring integrity back to the car care industry through transparency and trust. No over-charging, no over-diagnosing. just good old fashioned honesty and customer service. 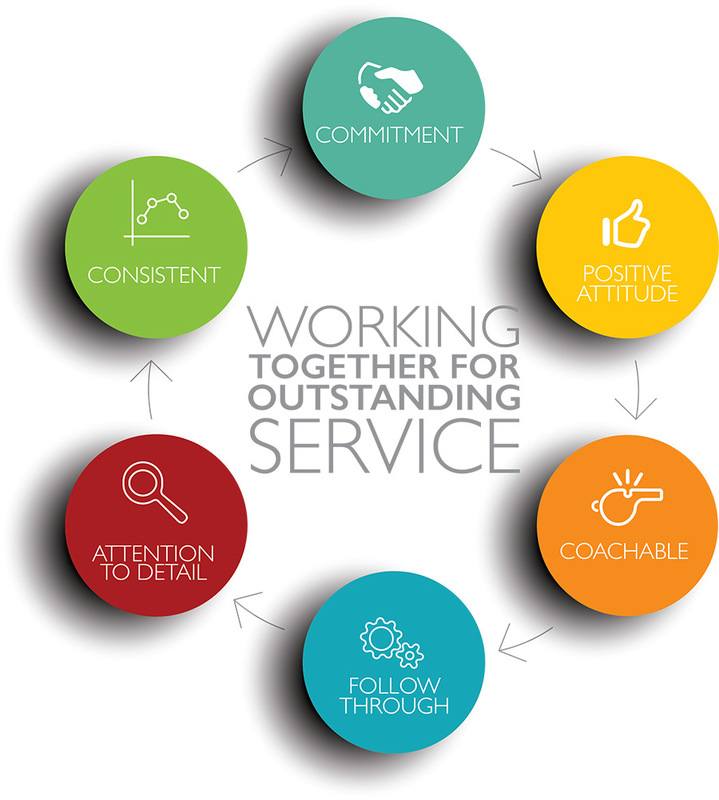 To glorify God as we build the LOF-Xpress™ Oil Change franchise one customer, one service, one store at a time. • Provide preventative maintenance services at true-value prices. • Quickly and conveniently serve customers with exceptionally clean facilities, leading-edge technology and professional, friendly staff. • To profitably meet the true needs of our customers with expertise and honesty. • To provide sustainable employment with ownership opportunities to the next generation in a proven franchise. STRIVING TO SET THE STANDARD IN OUR INDUSTRY. Our top priority is to bring integrity back to the car care industry. We hope our customers notice the difference and experience good, old fashioned honesty and customer service – along with a great cup of coffee.